Above & Beyond - Acoustic - Live At The Hollywood Bowl. Vinyl LP. Anjuna Music Store. 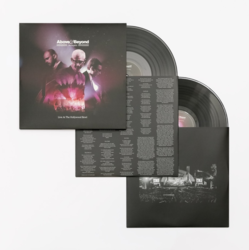 Above & Beyond Acoustic Live At The Hollywood Bowl, 3 x LP 180g heavyweight vinyl, half speed mastered by Miles Showell and pressed at Optimal in Germany for enhanced audio quality, plus Limited Edition 56 Page Photobook, also contains an 2 x CD of Above & Beyond Acoustic recorded live at the Hollywood Bowl. 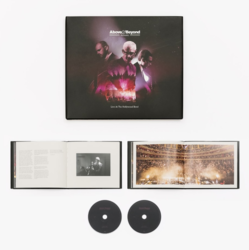 A beautifully presented photographic journal of Above & Beyond's 2016 acoustic performance at The Hollywood Bowl, accompanied by a personally written commentary from Above & Beyond. 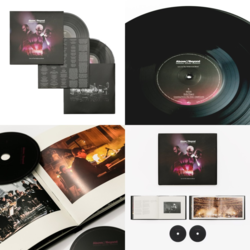 Hard-backed in black Brilliante cloth with red foil text and full colour dust-jacket, the 56 page book is printed on 150gsm Arctic silk paper with suspended wallets to hold the 'Above & Beyond Live At The Hollywood Bowl' audio CDs.